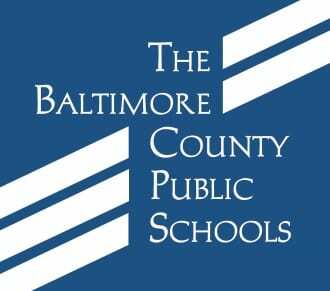 Baltimore County Public Schools is expecting plenty of friendly competition this month as elementary schools challenge each other for the title of best student attendance. November is BCPS Attendance Awareness Month, reminding students and families of the importance of daily, on-time attendance now that routines have settled in for the school year. Research shows that missing just two school days per month can negatively impact student achievement. Last year, Mays Chapel Elementary School emerged as the winner of a four-school attendance challenge, reporting average attendance of 96.45% and edging out competitors at neighboring Padonia International, Pot Spring, and Warren elementary schools. To conclude the challenge, the principals dressed as their school mascots and toured all four schools to celebrate their students. This year, those schools again challenge each other for best student attendance. There will be similar challenges between the following elementary schools: Carney, Oakleigh, and Pleasant Plains; Hampton and Lutherville Laboratory; and Battle Grove, Chesapeake Terrace, and Edgemere. Oakleigh Elementary will announce its mascot challenge with an assembly on November 7, recognizing students who had perfect attendance during October and students who have demonstrated kindness, responsibility, and respect, the school’s three virtues for the year. At Ridgely Middle School, the grade level with the top attendance during November will receive Ridgley Bucks to use at the Scholastic book fair. Winners of each challenge will be announced in early December. Additional schools are developing incentives to reward student attendance. Follow the celebrations on social media using hashtag #schooleveryday.